Who’s Right in the Battle Over ECOT Blame? Among the most important questions this election cycle is one asked by the Columbus Dispatch last month: Which side is right in the political battle over ECOT blame? In this piece, let’s take a look at the major-party candidates running for governor, Republican Mike DeWine – who has been Ohio’s attorney general for more than 7 years; and Democrat Richard Cordray, who became director of the federal Consumer Financial Protection Bureau after a two-year stint as Ohio Attorney General. Asked to clarify, DeWine’s office emphasized that he had hired the special counsel in the ECOT lawsuit that was trying to block the state from using log-in data as a basis for funding. To be clear, as attorney general, DeWine is required to provide representation for the Department of Education. That said, DeWine is praised by some observers for hiring Doug Cole, a former state solicitor, as special counsel. 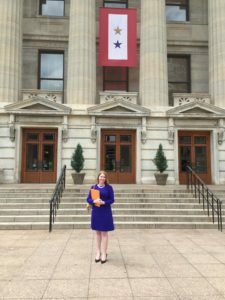 Cole, who has argued about 20 cases before the Ohio Supreme Court, proved to be a skilled litigator who knew the value of highlighting that ECOT wanted full state funding for students even if they rarely logged in. One of DeWine’s main arguments for letting ECOT continue: He lacked authority to go after ECOT until recently and only had authority to go after the money once the school closed. Auditor David Yost, a Republican running for Attorney General, said that ECOT’s finances and troubles were not made clear until the Ohio Department of Education changed how it reviews funding in 2016. Comments from both were reported in The Plain Dealer. Cordray supporters say both men are wrong. In the same Plain Dealer analysis that is referenced above, DeWine cites the case of the Value Learning & Teaching Academy (VLT), a Cincinnati charter that was forced to close, as proof that his delayed action on ECOT was justified. Four years later – three months before the election – DeWine is making similar arguments about ECOT insiders. 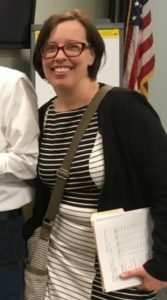 That duty was established in 2010 – in a case filed by then-Ohio Attorney General Richard Cordray against the International Preparatory School in Cleveland. The duty was reinforced by DeWine when he intervened in VLT case in 2014. Since Cordray spent two years as attorney general, DeWine has been asking why Cordray didn’t do more to crack down on ECOT when he had the chance. Cordray responded by citing the VLT case as proof that he gave DeWine the tools needed to go after ECOT much sooner. “ECOT was something that you (Cordray) could’ve taken action on. There was an auditor’s report which clearly showed that there was a problem, and you did absolutely nothing at the time,” according to the Columbus Dispatch. Wait — there was a state audit that “clearly” showing ECOT’s ripoff way back when Cordray was attorney general in 2009-10? If that is the standard, why hasn’t DeWine sued the chronically failing Imagine schools that stick taxpayers with the cost of ridiculously high leases that benefit their for-profit real estate arm? In the ECOT case filings, DeWine accuses Lager of violating his fiduciary duty to ECOT. The federal judge who slapped an Imagine school in Missouri with a million-dollar fine said Imagine violated its fiduciary duty to the school by saddling it with excessively high rent paid to a subsidiary, SchoolHouse Finance. The lease arrangement is nearly identical to those found in Ohio. Ohio is home to several imagine schools with leases that have made news. Ohio taxpayers paid nearly $8 million to renovate Imagine Schools’ Great Western Academy – renovations worth more than 3 times the charter school’s value. Unlike traditional public-school buildings that are paid for with public money and owned by the public, this one was paid for with public money but owned by an out-of-state private company more interested in making a profit than educating kids. This school, like most other Ohio-based Imagine schools, gets mostly Ds and Fs on it state report card. Regardless of who becomes Ohio’s next governor, the race has spotlighted serious problems with Ohio’s system of paying for and policing charter schools.